Score deluxe designer looks for less. Remember those bold, colorful pants Rihanna paired with her bikini last week? They were by Missoni and sell for hundreds of dollars. The pop diva is not the only celeb who loves the Italian knitwear brand — so do stars like Nicole Ritchie, Beyonce and Joy Bryant! Now, everyday fashionistas can get into the act too, thanks to Missoni’s collaboration with Target, which allows us to buy this brand for under a hundred dollars. 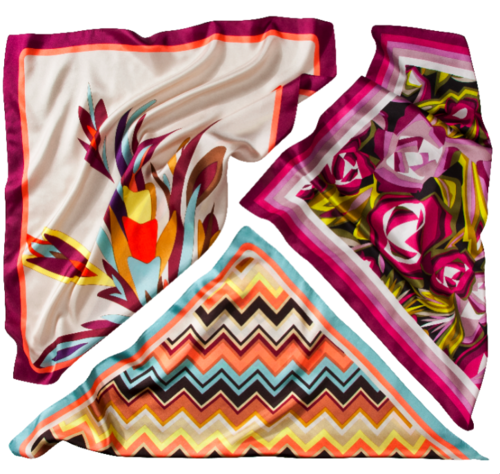 Check out this first look at items, from silk scarves to baby clothes, that will be on sale on September 13th when Missoni for Target debuts in Target stores nationwide and online.